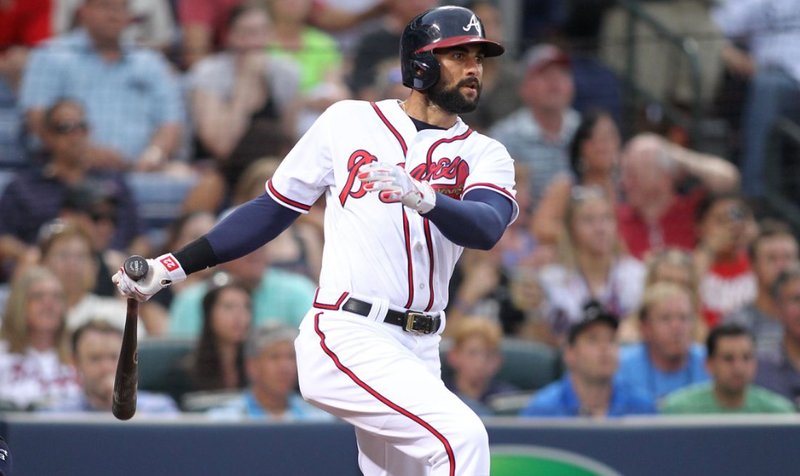 The Atlanta Braves and free-agent outfielder Nick Markakis agree to a 1 year deal worth $4 million, plus a $6 million option for the 2020 season! 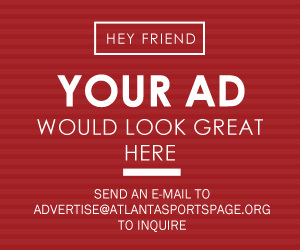 Per Jon Heyman, an insider for MLB Network, Markakis had offers for more money and more years, but he wanted to stay with the Braves even if it meant for less money and years. 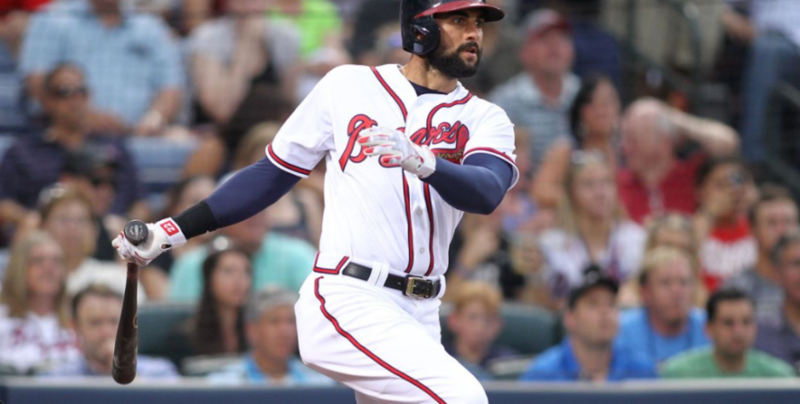 Markakis had originally signed with the Braves back in the 2015 season on a 4 year $44 million deal through the end of the 2018 season. The move at the time was very surprising considering Kakes chose to sign with a rebuilding Braves team that would not contend for the playoffs for years to come. Looking back at it now, it proved to be very valuable. This past season Markakis enjoyed his career season. He slashed .297/.366/.440 for a .806 OPS along with 14 dingers. Markakis enjoyed a hot first half of the season batting .323 and 10 homers, but he cooled off mightily in the second half of the season batting only .258 and hit only 4 dong-shots. However, he still earned his first All-Star appearance, first Silver-Slugger, and his third Gold Glove. Alex Anthopolous said that the two parties stayed in contact, but the Braves weren’t willing to sign him unless his prices dropped. Re-signing Kakes fills the void in the outfield, and since he signed for cheap the Braves are still able to pursue a starter or reliever on the market. Also, this does NOT take us out of the Realmuto sweepstakes, and in my opinion it may actually mean the Braves are trying to pursue him even harder. Only time will tell. Welcome home Nick Markakis.